Leading Manufacturer of wedge clamping cutters from Chennai. 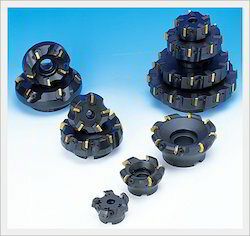 We hold expertise in offering optimum grade Wedge Clamping Cutters to our esteemed customers. Manufactured in accordance with the industry laid standards, these clamps are commonly used for anchoring, measuring and pulling purposes. Owing to the high mechanical strength, flawless finish and minimum maintenance, these cutters are highly demanded in the market. Looking for Wedge Clamping Cutters ?